we put it up for sale about a month ago and officially sold it last week (woo hoo!). " something I have shared has helped or blessed you! 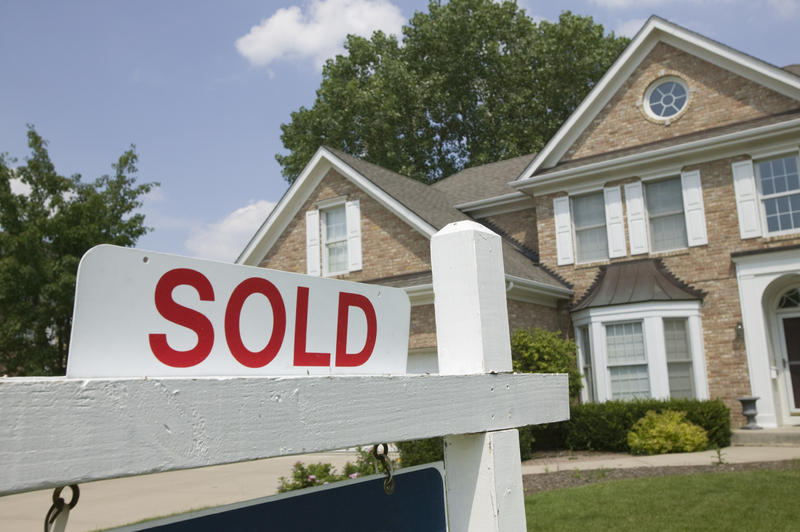 When we began the adventure of selling our home, we had no idea what we were getting into. especially when you decide sell privately. so taking matters into my own hands was a no-brainer, but I definitely needed all the help I could get. and I kept her advice in mind every step of the way. and I couldn’t have done it without her help. Here is what we did! "Clean the bathroom till it looks like new. (these are usually rusty- remove, clean, and spray paint them glossy white)." but that doesn’t mean I didn’t have my work cut out for me. replacing the discolored caulking around the faucets and touching up the door and walls. – (aka: we didn’t do it once, eek). A ladder, some elbow grease and a quick coat of paint had it looking like new. Over the four years that we owned this home, the whole bathroom went through some pretty big changes, and I was confident the end result would help us sell. “A table lamp for lighting and a vase for flowers is very important." Our little split-entry home doesn’t have much in the way of a foyer. clean and welcoming for potential buyers. and replaced them with one small table and a sweet little plant and flower arrangement. and the greenery added some much-needed character. "The kitchen, to many people, is THE most important space in the home. and generate many offers on a home for sale. What are people looking for, you ask? Warmth, efficiency, cleanliness, organization, neutral tones, updated features." and the white cabinets are a nice selling feature. which was obvious by the amount of stuff we had on our counters. and totally de-cluttered the cupboards, (this picture was taken just before we hid those items). and I always placed fresh flowers on the island or kitchen table. opening up the curtains and lighting an unscented candle for ambiance. it would need some work to make it more appealing. I did place a blanket in the corner to add to the room. 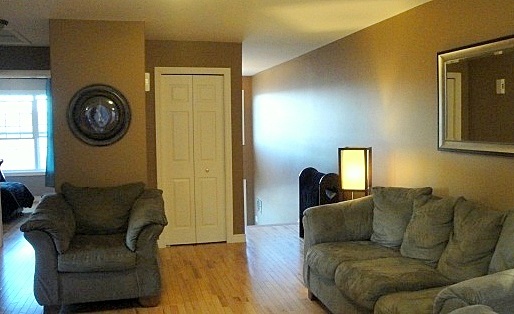 Don’t worry, the dog bed was removed for the listing pictures and hidden away for every showing. Total, we had eight showings and sold our home twelve days after officially listing it. and getting ourselves ready, really took around 6 months though. we went into it feeling positive and confident. – I’m just living proof! Thank you, Jessi, for taking the time to write and take pictures! To see more of my Blog Posts on Home Staging, go HERE. To see my Pinterest Board on Home Staging, go HERE. Wow! Looks great. How exciting to receive an email like that. What a fantastic and timely post. I'll be using all of this information when we put our house on the market later this month. Thanks to you both for sharing! I am SOOO excited about this post! We are just about to put our house on the market-in perhaps a week! Thank you for sharing your tips and wisdom. I'm going to follow your advice and I'll let you know how it all goes. I love what she did to the bathroom! Looks very different, in a very cool way, from the old interior design. And great tips by the way!